A 30-year-old Belfair man could face charges in a fatal two-car collision in Grays Harbor County Saturday night. 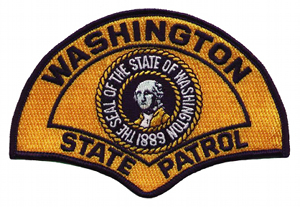 A State Patrol press memo says a 1998 BMW 540 was northbound on State Route 109 about 9:30 PM. About three and a half miles northwest of Hoquim (at mile post 3.5), the BMW pass another northbound vehicle and struck a southbound 2002 Dodge Neon in the southbound lane. The BMW left the road to the left and came to rest on its side. The Neon came to rest n the middle of the highway. State Route 109 was blocked for nearly six and a half hours. A 31-year-old woman in the Dodge died at the scene. The 29-year-old man driving the Neon and a 6-year-old girl in the car were transported to Community Hospital in Aberdeen. And a 12-year-old boy in the Dodge was airlifted to Mary Bridge Children’s Hospital in Tacoma. The names and cities of the passengers in the Neon have not been released at the request of their families. The driver of the BMW, Spencer J. Allen, 30 of Belfair, was not injured. A passenger in the BMW, Guenevere G. Fletcher, 30 of Tacoma, was airlifted to Harborview Medical Center in Seattle. The memo indicates the cause of the crash was unsafe passing and also notes drugs or alcohol are suspected to be involved. Allen faces charges of vehicular homicide.